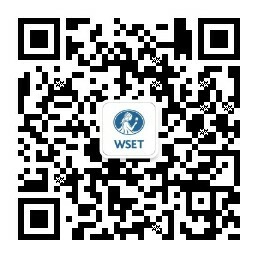 WSET International Development Director Jude Mullins is a seasoned exhibitor at trade shows around the world. With another ProWein under her belt, she shares her advice for planning your participation and measuring your success. What constitutes a successful trade show for WSET? Every trade show and market is different so we will have different measures of what success means to us for each event. Examples could be that for a new trade show in an emerging market for WSET our aim is simply to establish a WSET presence at the event and raise awareness of our programmes. Where we have attended the same event for a number of years, it might be that the conversation with visitors to our stand has evolved from one of “who are you and what do you do?”, to “I’m a Level 1, Level 2, Level 3 or Diploma student”. My favourite example of this was a visitor to our stand who proudly displayed each of her WSET qualification pins on her bag strap for everyone to see! We don’t always have a stand, and when we attend as visitors rather than exhibitors, success might mean meeting a valuable contact, making ourselves known to key industry bodies in-market, or simply evaluating the suitability of taking a stand there in the future. What steps do you take to ensure you get the most out of exhibiting? For new events we aim to work with the fair organisers to establish where we can best work to our mutual benefit. We often look at how our expertise in education and our global market experience can contribute to workshops, seminars and other activity as well as our own stand presence. Planning in advance is of paramount importance. Our activities, from on-stand tastings and masterclasses, to meeting opportunities and any reception events we might be hosting, need to be communicated in advance with our existing stakeholders, and need to be designed to appeal to prospective customers too. Simple things like making sure a tasting schedule is included in the trade fair brochure or listing can be crucial to success, especially as many visitors have jam-packed diaries and like to plan what they’re doing in advance. These all need to be in place well in advance of the event to meet external publication deadlines. How important is preparation and organisation, and what are the pitfalls of getting it wrong? In a word, crucial. Every event is different, but there are areas common to all, so it’s always worth considering experience garnered elsewhere to make sure we’re not missing out on something potentially great. Sometimes it’s the little things that trip you up: have you brought a pair of scissors and tape to seal boxes at the end of the fair to return home? Forgetting a plug socket adaptor is an easy mistake to make but can cause serious problems. Other issues could be quite significant, and we’ve seen other exhibitors fall foul of customs regulations because they haven’t declared correct values for their samples or paid the applicable duty. The key is to have a checklist and identify where you’ve packed everything so you can find it easily when you arrive. What should exhibitors do to ensure a trade show runs smoothly for them? Make sure you read the organiser’s manual and stick to their time lines. Many tradeshows will have surcharges for late orders for stand space, electricity, water, and so on. Don’t forget that you might need to order the plug sockets. Your team is your most valuable asset for seeing an event run smoothly. From preparation in advance; including all aspects of administration, stand set-up, creating supporting documents and presentations for on-stand activities, to on-stand; having people with expertise in customer relations; including strong product knowledge and the right language skills for the market – having the right people in place to manage all elements is what will make or break your trade show. It’s essential to keep their welfare in mind, so don’t forget to schedule in meal breaks! When there are a large number of exhibitors, how do you ensure you stand out and get to pitch to your target audience? Are there any creative tricks you use to grab the attention of attendees? Make sure that your stand design is clear and conveys who you are and what you do. Does anything need to be translated for the market? Branded shirts or name badges are a little thing that can help your team to stand out and therefore be more easily approached. Seek advice from those who have experience in the local market, and don’t be afraid to try something new and innovative even if it makes you a little uncomfortable. Everything is a learning experience! It’s also important to remember that attending a trade fair should not be the only activity that you do in a market, but part of a wider development and support programme.